Tottenham Hotspur’s greatest manager Bill Nicholson was born on this day in 1919. He devoted his life to the club, first as a player and then coach, manager and club president. Here are some words of wisdom from a truly great man. Yeah, like, ‘cos the financial stability, superb youth set-up, state-of-the-art training centre and soon to be iconic stadium are a real drag. But let’s not forget he sold some players who demanded to leave and more or less went on strike for as much money as he could possibly get to reinvest in the club. How are you enjoying the title challenge? Well done SP. Quite right. What noone is commenting on is the fact that when Billy Nick was manager, the chairman was Sidney Wale,and the club treated players like Jennings, Chivers and even Blanchflower appallingly – and finally did the same with Bill Nicholson. I was there on his final match and he left with little money, no real thanks and no real appreciation. I hate to say it (Jennings has said it) but we lacked class while the Arse had lots. Things have now changed and I think we owe Levy massive thanks. On reflectiion, and with hindsight, do you still have the same opinion of Levy ? Reading these quotes make me want to travel back in time to see in the flesh the teams that Bill Nicholson managed. I feel so inspired by these words. They seem to mean so much and way beyond being just a football fan. Thanks for posting them and god bless this great man for what he did and for what he had to say. Tyzack, I saw ‘Nick’ as a player. He wasn’t the most gifted player but fitted into the wonderful push and run side of the fifties and never gave less than his all. But of course as a manager he really came into his own and he and Danny were a match made in Heaven, so different in personality but fully complemented each other with mutual affection and respect. The European nights were pure theatre where 64,ooo and 11 took on the great sides of Europe and put them to the sword. I re run these games in my mind so often and will always maintain that the ref cost us the European cup in the semi final against Benfica. Fine article. These are words to live by for Mr. Levy. 2 years later,what have you got to say now? Magnificent, Bill, and I was privileged to be there the night we beat Sheffield Wednesday to win the league in 1961. It’s a great pity his fabulous words above have not been etched on the walls of our home dressing room. Christ, Levy, you’re light years away from Bill Nicholson. There’s a cancer running through tottenham LEVY!!!!!!!!!! Your comments show your lack of class or maybe your just a spoilt child. How in your fantasy land perception of reality do you expect our club to achieve anything sustainable in the long term if we are finacialy broke and living beyond our means. You would happily have us do a Leeds or be Chelskie as they where before the Russian arrived. I believe in this day and age of football – even the great Bill Nick would understand financial prudence, as long as the players showed they where truly up for the fight and the honor of playing for our great club. Do you not remember the 20 odd years of crap football and near financial melt down prior to Enic??? Agree they haven’t been with out their faults……….. But at least we are making steady progress towards hanging with the world elite. We need our stadium and our training facilities and we need to compete ………. Which is only viable if we are not broke. You won’t get a reply, he’ll be too busy enjoying the title challenge – while denying that Levy had anything to do with it, of course! Your quote No 1 was said by Danny Blanchflower, NOT Bill Nicholson. Bill was blunt with his iews, while Danny was a point. It is wrongly attributed to Bill. Sorry Norman, but you’re incorrect. Quote No1 comes from the foreward that Bill wrote for the book Spurs Supreme by Ralph L Finn. I have supported Spurs since I was a boy in the early sixties. I love the club and it hurts me when individuals make hurtful comments. I can remember when Spurs almost went under without the sound if not always welcome chairmanship of Alan Sugar. The same can be said of Mr levy. He’s done a great job of getting Spurs where they are today. In the age of oligarchs and billionaire benefactors we should be grateful to be in the position we are. 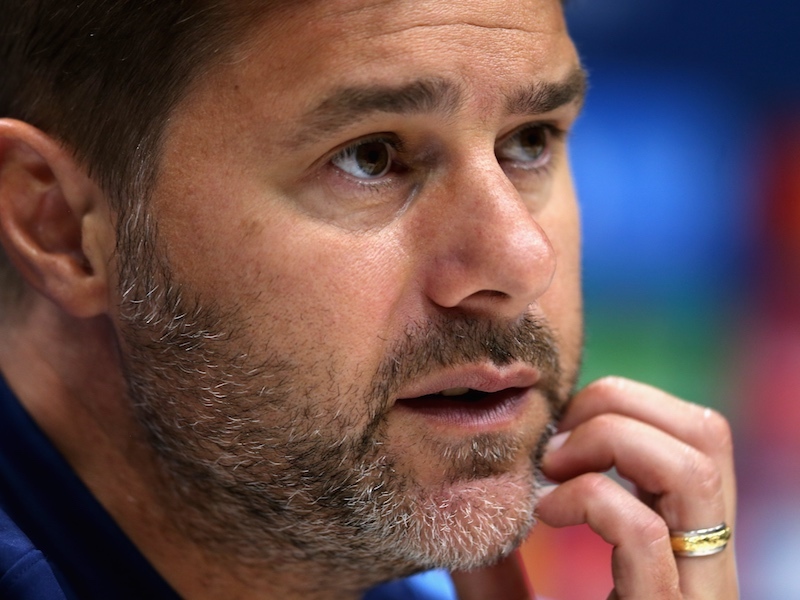 Spurs can look forward to growth which can only benefit the quality we can bring to the side. We have a manager who is able to recognise young talent. The benefits of which are already bearing fruit in plenty. I say thank you to the Chairman and Mr Lewis and huge congratulations to the manager!!! “The game is about glory” was actually said by Danny Blanchflower. Bill said a lot of very wise things, I am sure that DL has had these in mind while building the fantastic platform for success that we now enjoy. This season is just the start ! Audere est facere. Remember Mr Bill Nicholson, one of the pillars we are built-on. No DNA in those days, just belief in what Mr Nicholson said about the mighty Tottenham Hotspur. COYS. He’s off enjoying the title race – that which can’t in any way be attributed to Levy’s careful stewardship or forward thinking. Do they not realise, the youth set-up is the result of initiatives Levy established in 2005? Doubt they do or would acknowledge it. Oh ave a word with yourself will you. Levy isn’t the be all and end all of the club. Yes he seems to be doing a better job at the moment but what about all the managers he sacked? The way he sacked BMJ was an absolute disgrace. Installing Ramos before Jol even knew he was sacked although Jol recieved a text telling him Levy had effectively sacked him. Yeah lovely man Levy is. What about all the interference in transfers i.e. not buying the players we really needed and buying players we didn’t need i.e Rasciak, Nelson, Saha and many others PMSL. He’s got a manager in Poch who told Levy how he wanted it to be that is why we are now challenging for the title. It’s Poch that tells Levy what players he gets not Levy telling Poch who he is going to have. Yes Levy put us on a sound financial footing but that is his job as chairman after all. Do some research read up how much Enic have taken out of the club to make them richer. They are an investment company. Investment companies make money for their share holders, that’s what they do. I have been a Spurs supporter since 1958 and was privileged to see the Bill Nick sides. This man was a genius, and he gave his entire life to this great club. I have read some total crap regarding Daniel Levy. When he took over the club was in financial chaos. Now the club is on a very sound footing. We have the best training facilities in Europe, the best young squad we have had for years, a state of the art stadium being built, a brilliant young manager. What the hell do people want? I would say that certain comments made shows that these idiots are NOT Spurs supporters! I am proud that I have seen Glory days and bad days, but I still love my club regardless. Lots of good relevant comments here but pathetic foul language spoils many replies. Being an uneducated ignorant cretin reflects on you personally, your views becoming pointless and unreadable. Maybe you should learn to spell too. No doubt your reply will be the pile of poo you gave out earlier to someone. You can love Spurs and have a brain, infact it helps. In respect of financial prudence, Bill Nicholson said on signing Jimmy Greaves for 99 999 pounds “No player on earth is worth 100 000 pounds!”. Wonder what he woud say today? Bill Nick was a winner, we won the lot under him and weve not been the same sinse, also we were a spending club a massive club still are a big club but we don’t win any silver ware anymore. Has everyone forgotten, we nearly went bust! ‘Lord’ Sugar saved us but was vilified all the time; although I will concede he was out of his depth! Daniel Levy has done much to protect ‘our’ club from being a hostage to wage demands. By investing heavily in the academy. Sure there are some things I wish he had done differently, but he does not deserve the foulmouthed tirades on here. Had it not been for ‘Archway’ we would already be in our new Stadium, and be better able to compete at the highest level. Levy is a brilliant Chairman, his stewardship has ensured that we are a financially secure club with a very good future. Joe Lewis expects all of his companies to be run in a professional and financially responsible way. Whilst he is worth around £4billion, Sheikh Mansour is worth over a £trillion, no way can we compete with that. Neither should we. We might be in a stronger position in 3-4 years time, hopefully with Levy still at the helm and Poch still in charge! I can accept that Mr. Levy is not necessarily always totally infallible and is not unique in that, but our Club is blessed that his hands are on the controls and that he would never let us sink into the parlous state which gave so many of us sleepless nights heretofore. I am a very competitive prson myself. I really HATE to lose. Thank you for sharing. It is not always about winning but it sure is nice.